I am a curly girl but I prefer straight hair. So, I am always using hair-dryers and flat iron to straighten them. 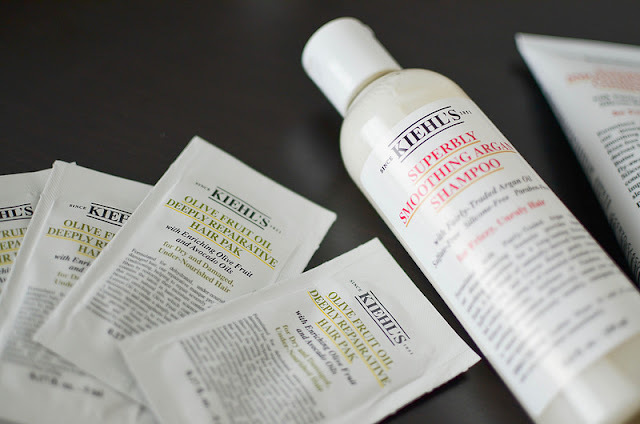 Unfortunately, this damages the hair so much that I really need to take care of my hair by investing in great quality products. I am always looking for products that can hydrate, nourish and give a healthy appareance. 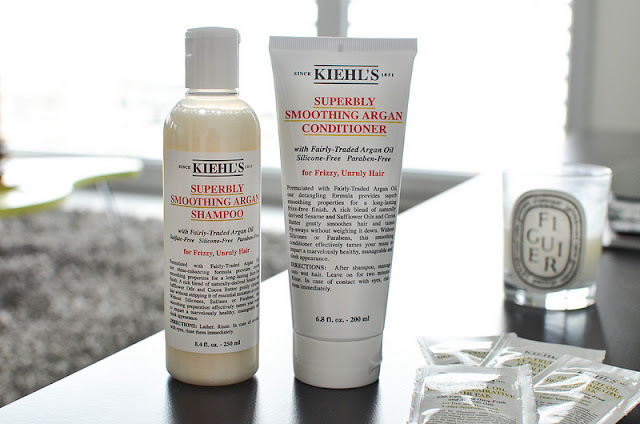 Right now, I am wearing the argan shampoo and conditioner by Kiehl's. The shampoo cleanses completely my hair without robbing their natural moisture and it's frizz-free which helps to all the straightening process. The hair is more smooth and silky. I let the conditioner on my hair during 3 minutes before rinsing hair. I also tried the sample masks I received and it's so amazing ! 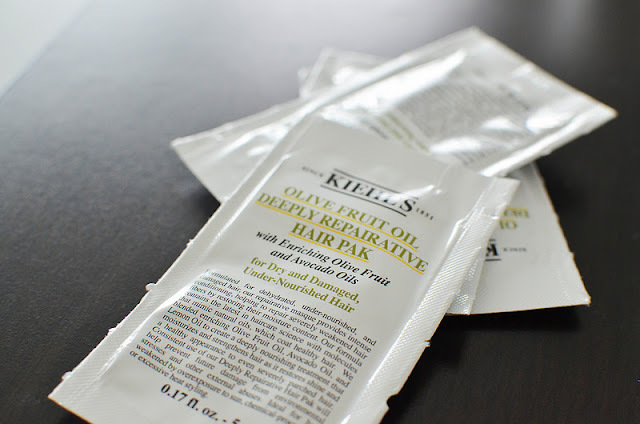 This mask contains olive fruit oil, avocado oil and lemon oil which is for me one of the best combinations for dry hair. I just feel my hair deeply nourished and shiny. 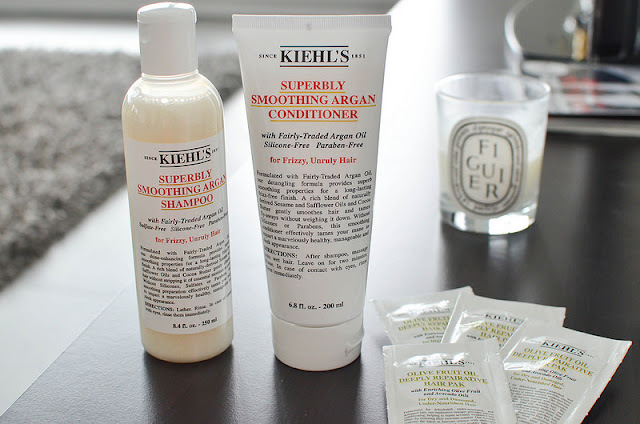 If you guys have curly hair which naturally tends to be dry so I recommend these products. However, you don't need to buy the same brand if you don't wish but at least that contains those components. I promise that's super great ! Smoking is known not inordinate hair diminishing and shedding, so kick the propensity to keep your hair thicker after some time. Notwithstanding better looking hair, stopping tobacco utilize altogether diminishes the rate of a wide exhibit of other endless illnesses. We have to write besttermpaper hair care services for the pashionality. The details are clearly provided to all the hair care services users. The information is really so much important to all of us and thank you. I have dried my hair so many times, that's why I have to care about it properly, thanks for this advice! Use essay editing service - edit-ing.services and order some additional info about hair and ways of its treatment!